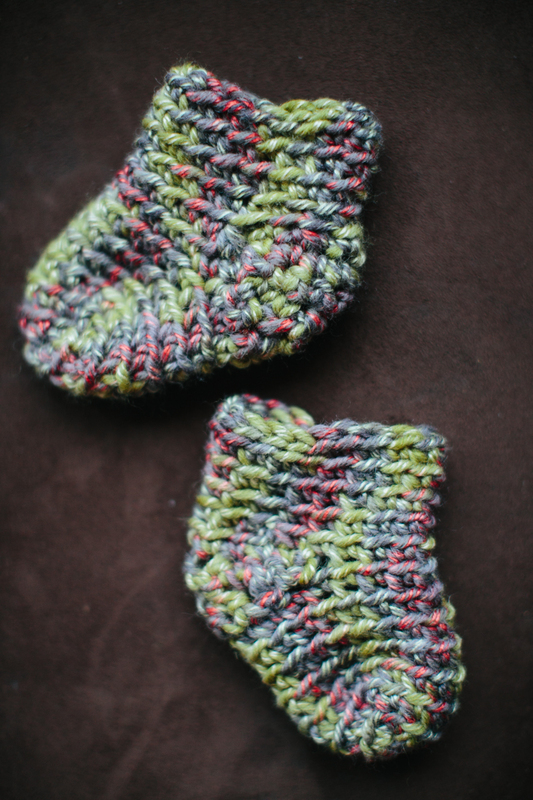 Have you ever wanted to make crocheted socks? Do you think it sounds scary? I thought so too. This super easy method will knock your socks off… or on?… okay, I’ll stop. First, you need a small foot to practice on. If you don’t have a small relative or little friend nearby, then your own foot will work just fine. We are going to use bulky yarn and a larger hook. This will encourage you and help you feel confident so you can easily transition to making socks with sock yarn and a smaller hook. This method will work for any hook with any yarn. We will send great coupons, free patterns and news every month. I love it! but I REALLY wish you would clarify the heel gusset for a larger size…it needs to be deeper but I can’t figure out how to do it. I will try and help – what size hook and yarn are you using? And what is the stitch count around before you start the heel? I’ve worked this pattern myself and taught it as a class for many feet, yarn and hook sizes. I will do my best to help you figure it out in the comments (but it’s always easier to show in person!). Thank you so much for this lovely pattern! FINALLY, a tutorial for making socks that makes sense! You (and your cutie patootie sock model) have completely made my day! I want a pair of those for ME! I have some lovely Pothies but would like just to be able to make some similar. Thank you! I hope you enjoy making some. I’m gong to teach a class with these in a few weeks so we will see how that goes. The green really pops in the photo, doesn’t it?